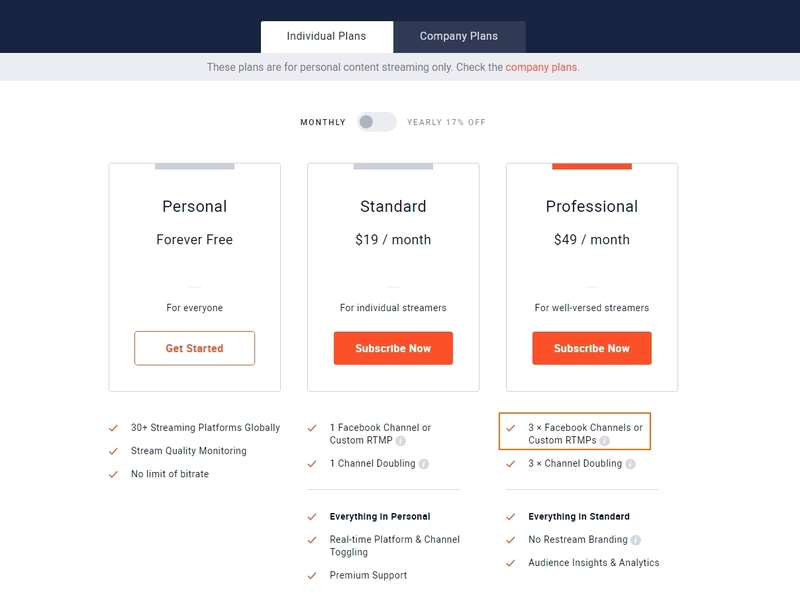 You will need to purchase a subscription plan that contains Custom RTMP channels. One Custom RTMP per Facebook Page you wish to stream to. Doubling will not work with Custom RTMP. Tip: You will have to create an event for each Page/Stream you want to do on Facebook and add the details to your Custom RTMP channel on Restream. You can learn how to make connect a Facebook stream here.